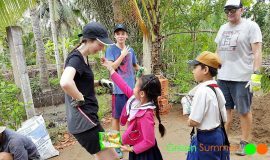 Vietnam school tours should be the great trips of your school life that will help to change you to a new person of maturity. 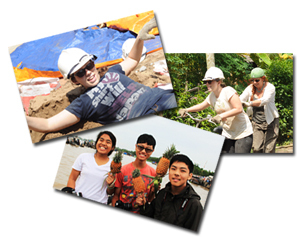 You should come and experience the special beauties of Vietnam, see different lives, and run community service projects. 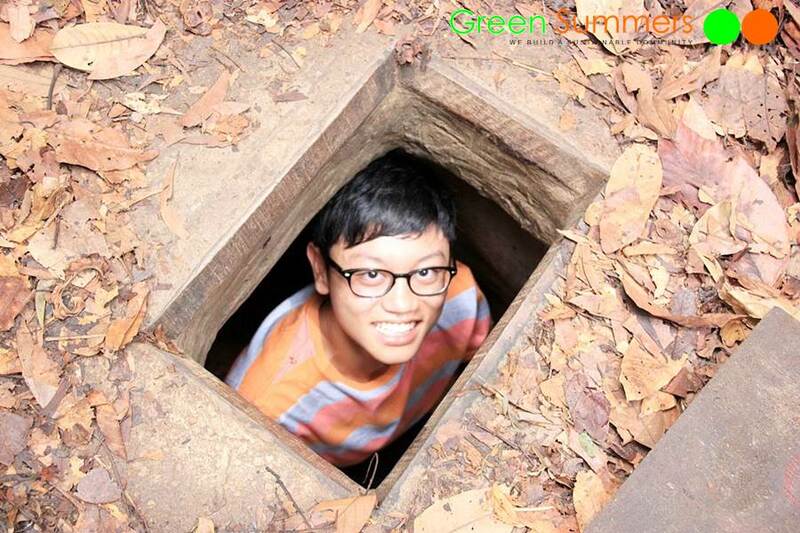 What will your see at your Vietnam school tours? Firstly that should be Hanoi as a distinctive Oriental culture city with special daily life, architecture and the famed Old Quarter. Taking a rickshaw ride along tiny streets of the Old Quarter should make real touch to this lovely city. Having dinner with the fish dish listed by Anthony Bourdain as the ten world best dish to eat in life is another impressive experience. Secondly that should be Halong with amazing cruise in the middle of isles. Do it and imagine you are in the movie King Kong Skull Island which is made here. The sleeping over night on a junk with your private room or trekking thru national forest on the biggest island should make special pages in your diary. Thirdly that should be Sapa where you make trekking across villages of hill tribal people with different clothes, culture and languages. Indulging yourself into the amazing landscape of vast terraced rice fields of getting lost among a weekly market meeting of hill tribes will burn your camera as you will use it so much. Fourthly the place should be Hoian where students get touch to a live museum of lifestyle since 16th century, enjoying peace as well as cycling around to see traditional jobs of local people that have been existed for thousand years. 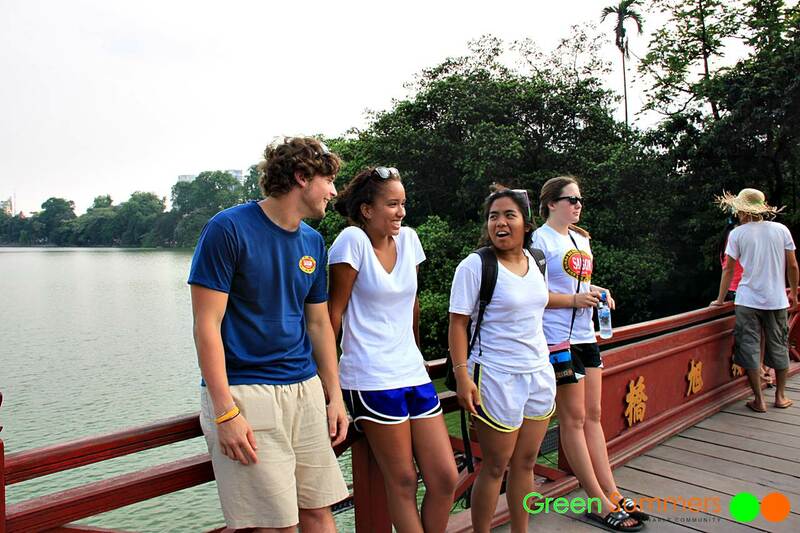 Fifthly visiting Hue and students can see architecture of ancient Vietnam Kingdom with its Oriental culture and science. 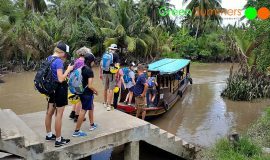 Discovering the poor life of families living on the boats, or playing with children at some communities along the cycling routes to the countryside are the great memory of life. Sixthly that is exploring Saigon with all its two fold beauties: the colonial corner with great building versus poor alleys with slum dog houses, the bustling markets versus the easy going of Saigonese, the peaceful streets versus the fierce pages of the history at the museums. The trip to Cuchi tunnel also a great opportunity to learn another angle of world history. 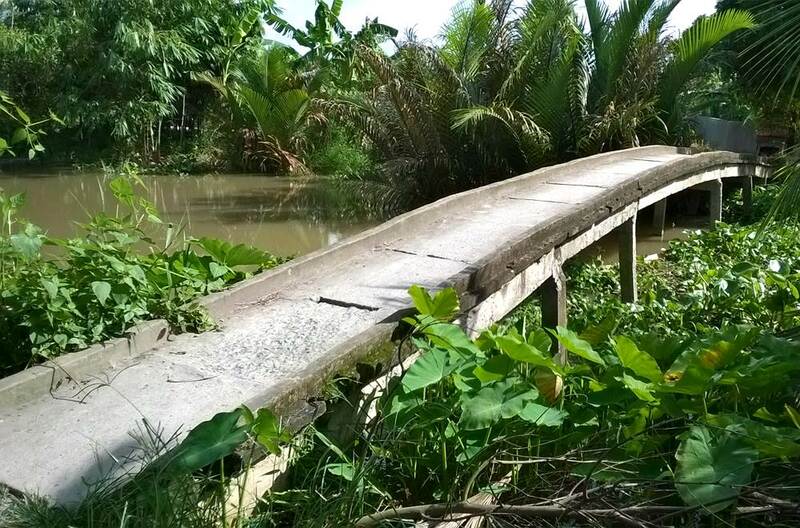 Last but not least, it’s Mekong delta where your Vietnam school tours should have boat trips along mazes of canals across tropical fruit gardens. 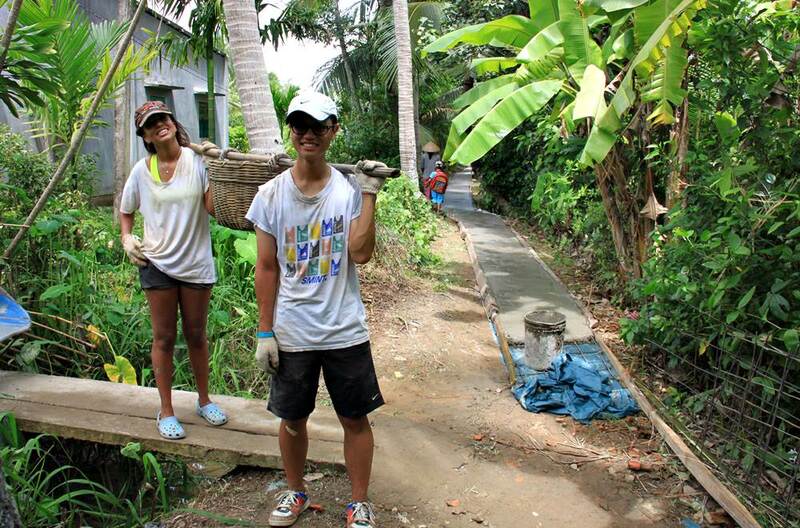 Students can make cycling along small trails in the middle of vast rice farms and see local people working on the farms. And, never skip the floating markets where thousands of boats gathering on the water to merchandise one another. 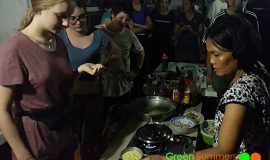 Along our Vietnam school tours we often have some visit that either benefits the local people or students or both. That can be a visit to an orphanage where handicapped children are brought up. Students can splay with children to bring love and care to them. That also can be a walking into special alleys of Saigon and witness the local people working very hard 60 hours per week. And they are still very happy people. 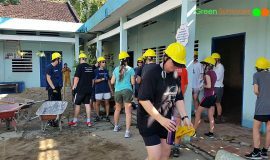 Students also can have trips to local houses with special jobs like coconut jobs, rice paper making or pop rice making. 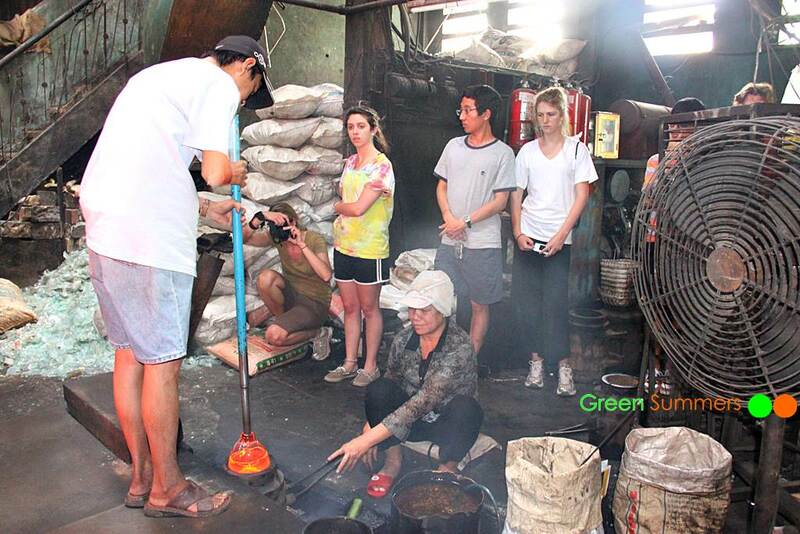 The more experience can be a visit to rice farms, to gardens or to markets. These are just to show how some people works very hard and they are still happy people. 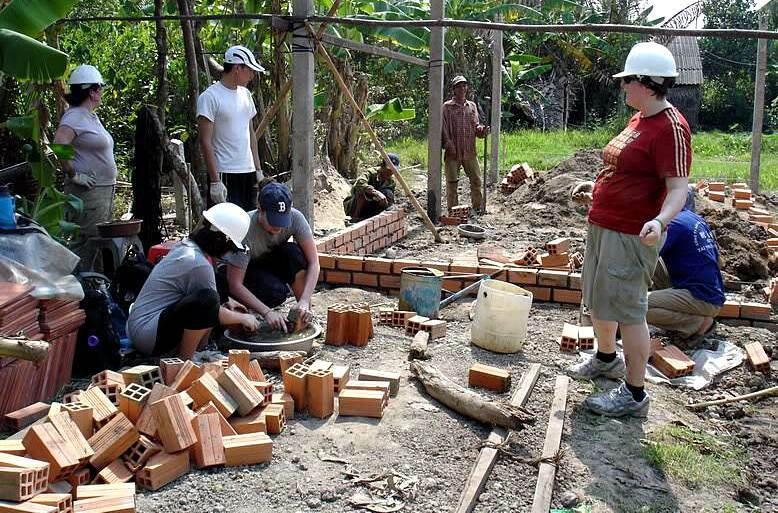 The community service projects are not always included in our Vietnam school tours. However, they are the special ones and best ones for students to gain special values for their maturity. 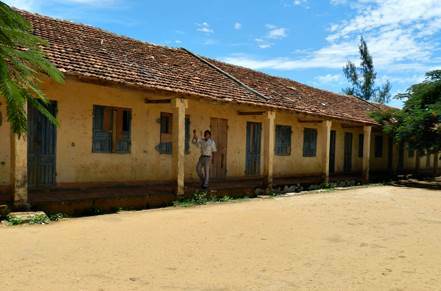 The students will have 5 days staying at a homestay. They will eat local food. They wash their own clothes. They learn how to cook. They play games with local children. 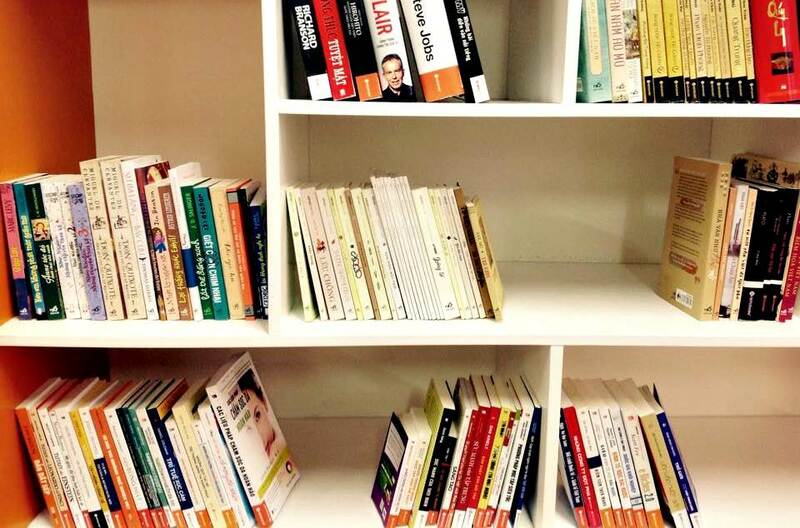 And especially they participate in building a work that benefits a community. 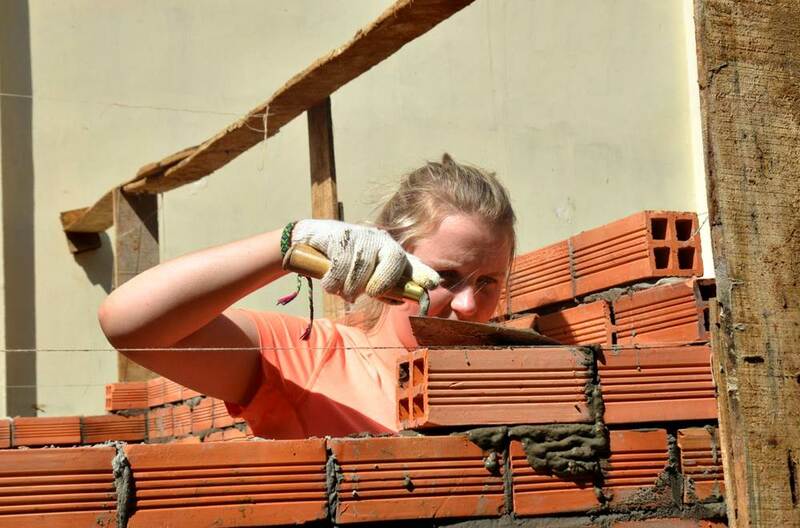 Thru the community service project, they learn the value of adaptability, of communication, of no fear in a strange place, and of sharing their hands to help real poor people at a third world country. And of course the local people welcome them because community service projects will make their life a sustainable development. 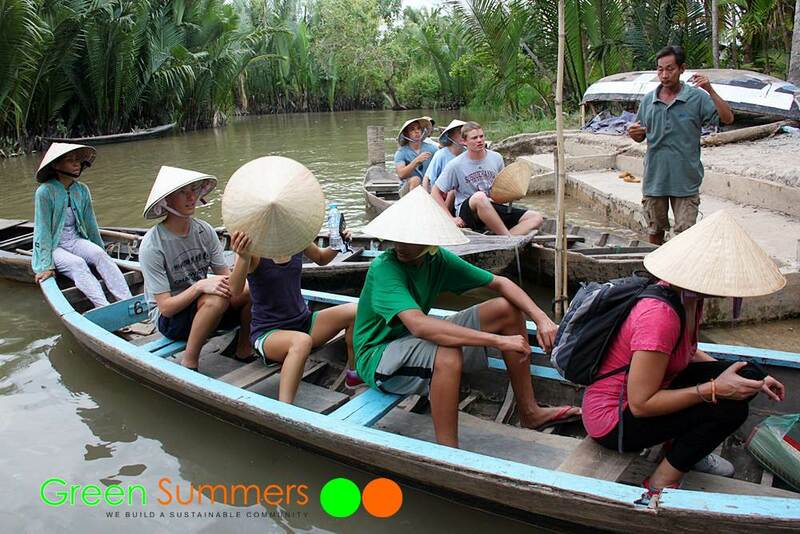 Then the Vietnam school tours is not just for entertainment only, but also for educational purposes. 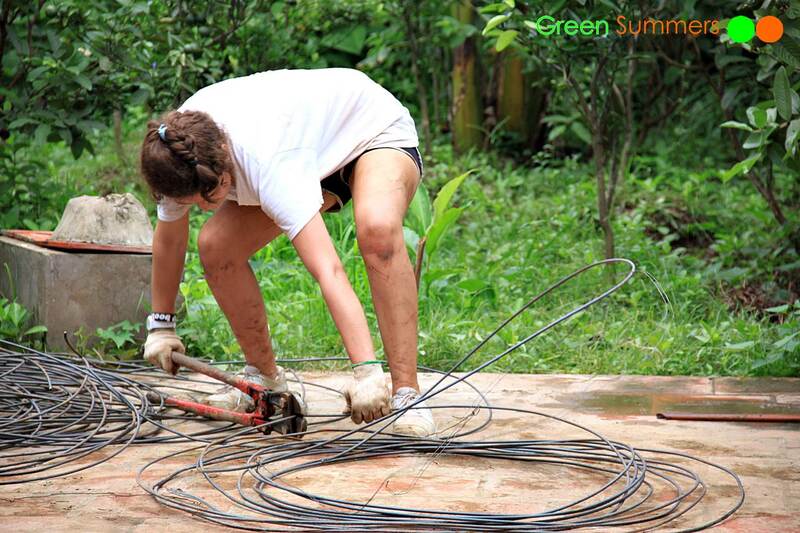 See some of ours community service projects we are organizing now. Copyright © 2019 Green Summers. All Rights Reserved.